SEMEC, the management company of the Palais des Festivals et des Congrès de Cannes. SEMEC plays, with success guaranteed, the role of captain on board the flagship of the Cannes economy: le Palais des Festivals et des Congrès. The success of this enterprise in the long term cannot be summarised, nevertheless, as the management, rigorous and audacious as it may be, of a building with famous steps, which hosts some of the most widely covered events in the world. The uniqueness of the SEMEC, a private company whose capital (€2,400,000) is distributed between the public sector, that is to say the City of Cannes, for 80%, and the private sector, for 20 %, is that it combines in the same unit three different yet complementary development axes: the management of the Palais des Festivals et des Congrès effectively taken on as of 2001; the concerted tourist promotion of the city; the organisation of public cultural events. 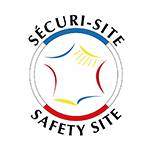 It also provides the service of advice to all local partners. This unity of decision making and action on the basis of a single tool makes it possible to avoid wasted energy. SEMEC and partners in the hotel sector combine their strength on marketing boards, to boos the destination. Rapid implementation, flexible management, the launching of promotions developed on the basis of market research, the organisation of targeted events, transparency in all areas are determinant assets in an extremely competitive sector. Awarded a public service delegation renewable in 2021, the SEMEC is calmly preparing for the future, with constantly renewed determined and enthusiasm. TFWA is the annual international meeting for the duty free industry. The lounge is the main event of the sector. Each autumn, the International Audiovisual Market is held at the Palais des Festivals. Leaders of television and stars of the small screen, all meet in Cannes for a large-mass media. Showcase of luxury. Cannes welcomes for more 15 years the international tourism and luxury travel. This event features the highest concentration in the world of top quality travel professionals. The largest International Real Estate Market which gathers in March featuring the most influential actors of the sector. Another business meeting of great magnitude, the Cannes Lions or the international Festival of creativity meets every year in June the advertisers of the world. Created in 1964, the International Market for Television Programs audiovisual professionals gather in April each year with more and more stars of the small and large TV screen. 300 professionals in the service of quality. 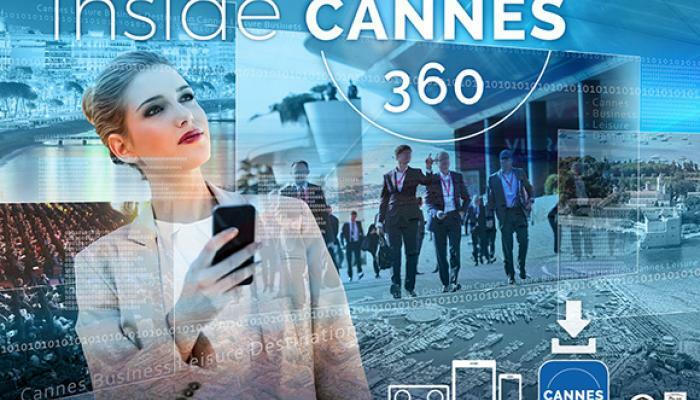 Download the Cannes 360° app. An innovative solution, which offers an immersive visit of the best spots of Cannes and its event spaces. 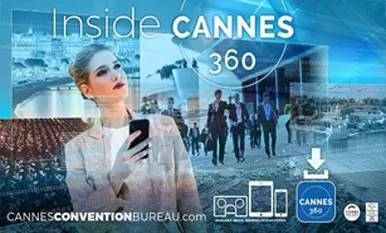 Cannes Convention Bureau is an exemplary success which could not exist without the competence and commitment of the men and women who work within the Palais des Festivals et des Congrès. The Cannes Palais des Festivals et des Congrès provides a tailor-made offer to accommodate all types of events, international trade fairs, exhibitions, conventions, prestigious receptions, seminars, and private or public events.